Sense About Science has released a new edition of the Making Sense of Screening guide which aims to inform the public about screening. Many people are tested in screening programmes but the tests – however good – are never perfect. Some people will be falsely reassured by negative tests when they do have the disease (false negatives). Others will be told they are positive for a disease when they don’t have it (false positives). This can cause unnecessary anxiety and lead to further tests, treatment and worry. Misconceptions about how screening works – its limitations and possible harms – are still very much in evidence. As a result, scientists, clinicians and medics have come together to explain how screening tests differ from diagnostic tests. It is important that people make their own decision whether to attend for screening when offered – understanding there may be risks as well as benefits. We need to help people see that although screening is beneficial at the population level, they need to consider the implications for themselves as an individual. It is therefore so important that people, when invited, are given the full information before making a decision on whether to have a screening test. 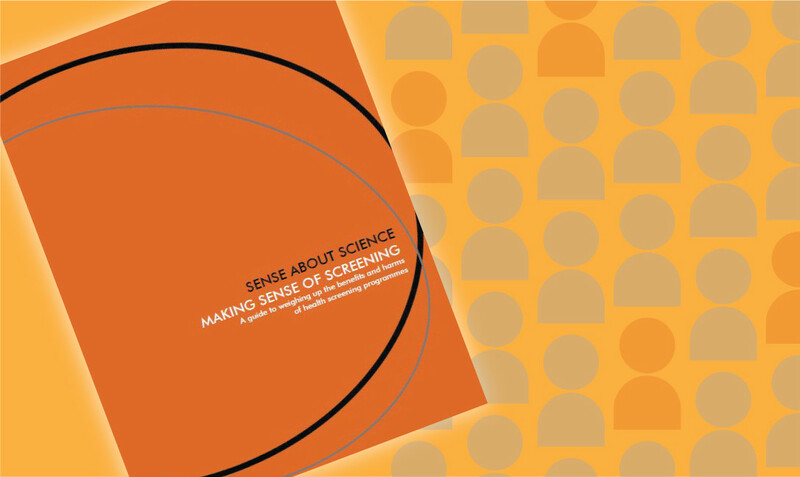 Since Sense About Science first launched this guide in 2009, confusion, misconceptions and misinformation about screening have not gone away. The influence of celebrities and campaigners in the media and public discussion often amplifies this, which needs to stop. Continual calls for more screening ignores the risk of harm, which always need to be weighed against the benefits when making decisions about screening, both for national programmes and for individuals. An electronic version of the guide is available and free to download from the Sense About Science website. Who are Sense About Science?